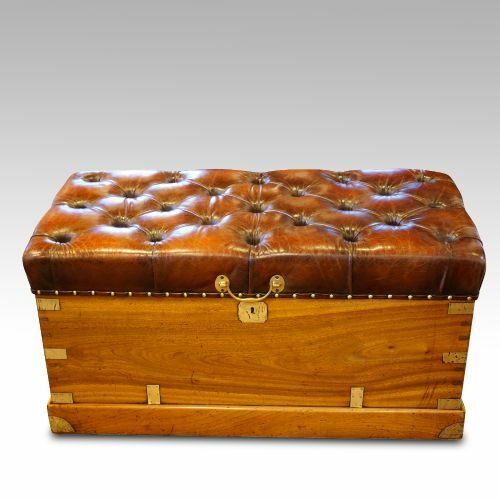 This Victorian camphorwood ottoman was made circa 1870, commissioned by an officer for his service in the East. 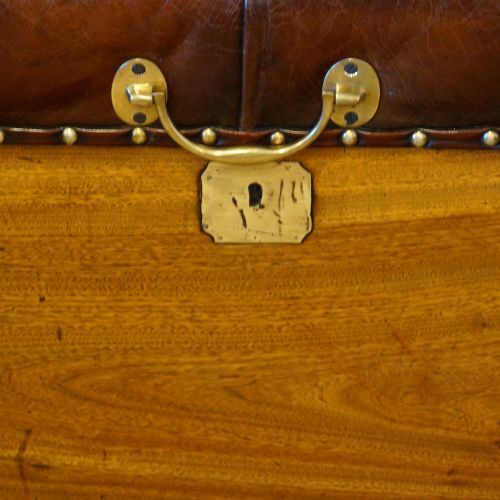 Originally, this antique trunk was made to transport an officer's uniforms, and his personal effects around the British Empire. 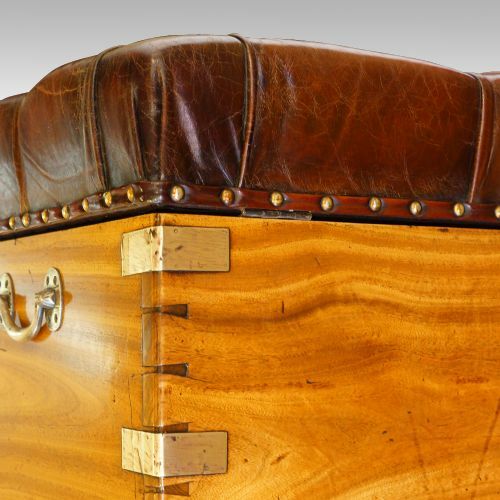 The reason this Victorian ottoman was made of camphor wood, was to keep moths and insects away from the clothes carried inside. 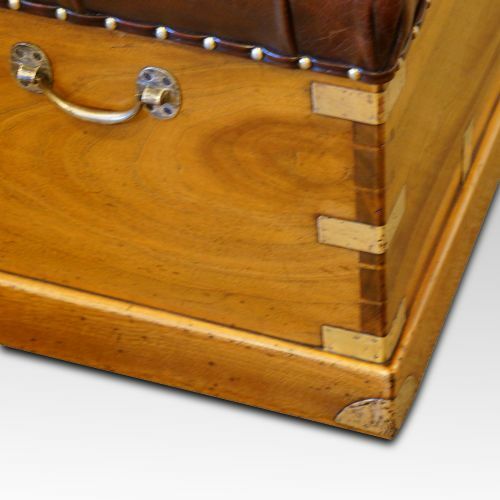 It has brass corners, which were put into the frame to help the chest withstand the rigours of being transported around the world. We have used our own craftsmen to upholster and deep button the top in fine antiqued leather, originally it would have been a wooden lid. 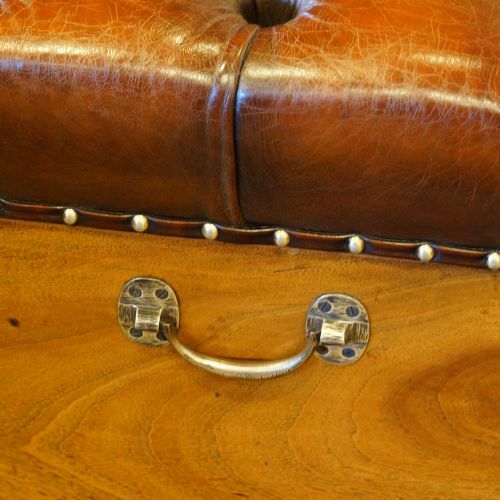 The leather is hand dyed and then our antique finish is applied by hand. The lid opens to reveal a full storage area. As you lift the lid by the brass loop handle you can experience the delicate perfume of the Camphor wood. 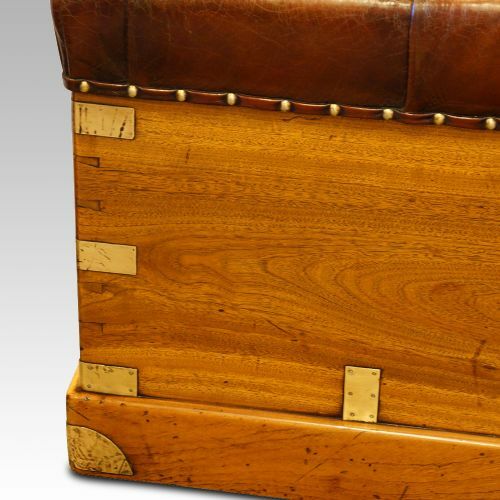 Imagine if this Victorian camphorwood ottoman could retell the stories of the journeys and adventures it has been through. It could have been transported around the North West frontier, other parts of the British Empire in the East or even around China during the Boxer rebellion. 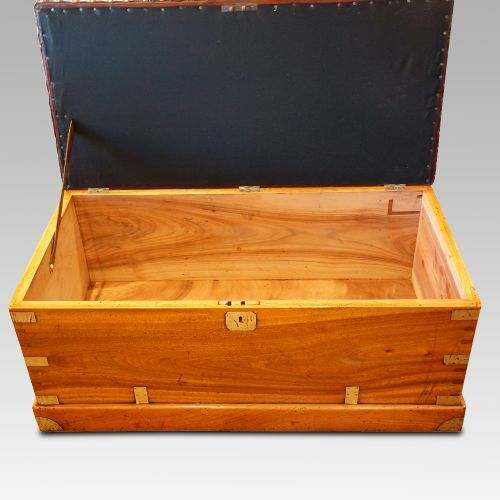 This Camphorwood chest can be used in many places around your home. It can be used as a hall-seat, imagine sitting on it as you slip on your shoes. In a bedroom at the end of the bed or in a bay. It would also be a fantastic coffee table or just as occasional seating in a bay window of a lounge or drawing room. This item carries the Hingstons Antiques product guarantee plate. This gives you the peace of mind that any item with this on, is of the quality and condition expected when purchasing from us. Antiques are unique, and it is impossible to price match in the normal way. Please consider the quality of product, and the care taken in our restoration, before deciding if you are looking at price comparison. When you choose to purchase an item from Hingstons, you will be purchasing a piece that will enhance your home. 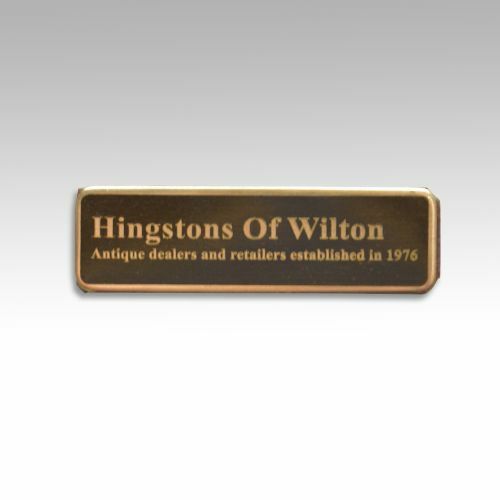 We spend time choosing the best product, an antique that must meet the criteria to be placed in Hingstons of Wilton stock. Purchases from Hingstons Antiques Ltd are covered under the Distance Selling Regulations, which give all buyers the right to cancel the purchase within 7 working days after receipt of the item, for a full refund less transport costs, if it is returned in the condition it was sent. Payment- We can accept payment by bank transfer, card transaction, paypal, or cheque. Antiques are unique and it is impossible to price match in the normal way. Please take into account the quality of product, and the care taken in our restoration, before making a decision if you are looking at price comparison. We spend time choosing the best product, an antique that has to meet the criteria to be placed in Hingstons of Wilton stock. Purchases from Hingstons Antiques Ltd are covered under the Distance Selling Regulations, which give all buyers the right to cancel the purchase within 7 working days after receipt of the item, for a full refund less RETURN transport costs. 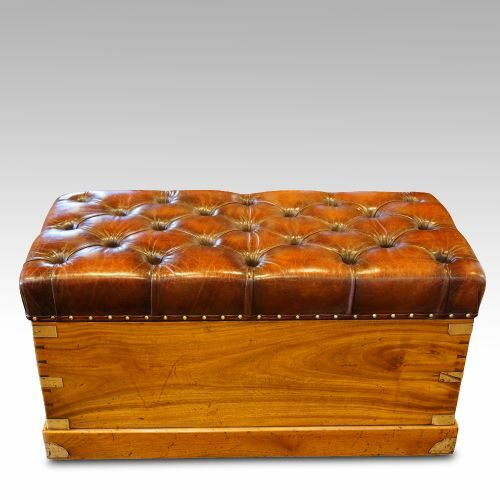 The Victorian camphorwood ottoman has been added to your saved items.